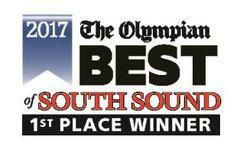 and most respected home inspection services in the Thurston County area. structural restorations and roofing; all critical areas of a home inspection. all phases of the inspection process. You are even welcome to crawl under the home with your inspector. you oversee the ongoing maintenance issues for a heathy home. A life time of knowledge , experience and skills when it comes to building and inspecting homes. Confidence that the service you hire is above the standard level in home inspector in your community. List of trusted resource for recommendations to help you efficiently and effectively manage your project’s in the home. Peace of mind from knowing that true construction professionals and highly trained inspector's are inspecting your financial interests. Cameo has pioneered the inspection industry in Thurston County with training, education, classes & seminars for other inspector's, Realtor's and our clients. Larry has written several books, numerous articles for The Olympian and classes for national home inspection organizations. Larry Stamp's level of wisdom surpasses his competitors with knowledge in forensic Inspections, sick home syndrome, expert witness services and commercial inspections. a home. We apply our years of experience and proven assessment techniques to identify the condition of the house . For a indepth look at our inspector's professional qualifications please see " About Us"
This is a beautiful place to live!